10 7/8"" overall. 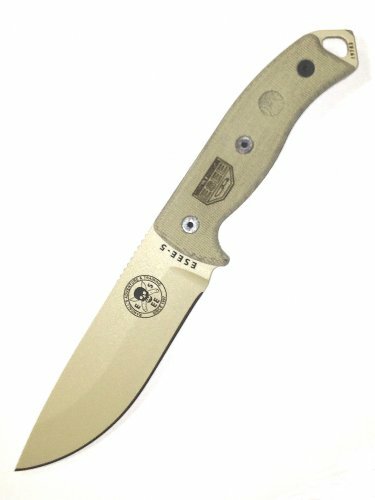 5 1/4"" Desert tan finish 1095 carbon steel standard edge blade. Full, extended tang with glass breaker tip. Od green canvas Micarta handles. Molded black MOLLE. Compatible Kydex sheath with adjustable sheath tensioner and lanyard with cord lock. Also includes a clip plate with screws, rubber washers, and barrel nuts.